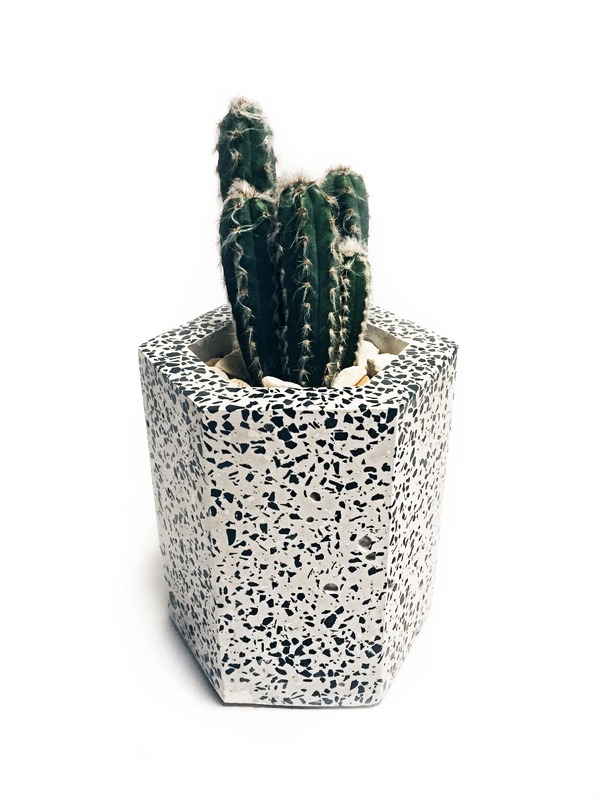 This handmade hexagonal terrazzo pot combines practicality and durability with a contemporary and minimalist design. Comes with a cork base to avoid scratching and damaging to any surface. Sealed with natural beeswax, makes it waterproof and protects against food stains and bacteria.